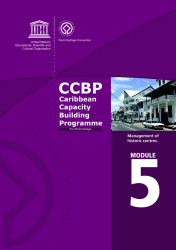 The Caribbean Capacity Building Programme (CCBP) is a long-term training programme focusing on cultural heritage management and aiming to create a Caribbean network of heritage experts. They, in turn, can share knowledge, know-how and expertise on the modus operandi of the World Heritage Convention and on heritage management in general. 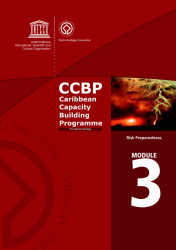 The CCBP was conceived to respond to the needs identified in the Latin America and the Caribbean Periodic Report which showed that most of the Caribbean States Parties still lack the capacity and expertise needed to enable full protection and management of the present World Heritage sites (18) and to identify new world heritage sites. 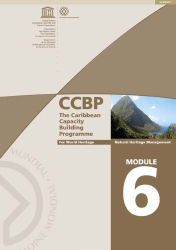 The CCBP was endorsed by the World Heritage Committee in 2004 as part of the Caribbean Action Plan for World Heritage. To strengthen the capacities of Caribbean institutions in the field of immovable cultural heritage conservation and management. To disseminate and implement the core principles of the World Heritage Convention and best practices of heritage restoration, conservation and management. To offer an academic and technical network where the dynamics between conservation, management, and development are analyzed and viable solutions for specific projects and case studies are proposed. Flexibility is at the heart of the CCBP: network members are free to choose and implement any of the five training modules composing the CCBP according to their needs, the only obligation being to always implement the module on the Application of the World Heritage Convention. The CCBP is an innovative working tool that links theory and praxis: all training modules are conceived to provide a methodological and theoretical framework to on-site pilot projects. 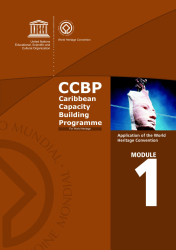 World Heritage Sites are the main target of the CCBP, but all heritage professionals can benefit from the module, as they were conceived in a broad and holistic approach to foster the identification and protection of the authenticity and integrity of any site, and at the same time promote their sustainable development. The CCBP is entirely extra-budgetary funded. Fundraising campaigns to support the CCBP Secretariat, pilot projects and the implementation of the training modules are constantly underway. 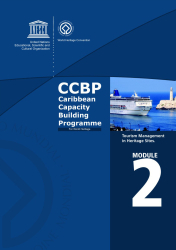 UNESCO Regional Office for Culture in Latin America and the Caribbean in Havana has set up a CCBP Secretariat to receive and analyze all requests from all entities wishing to offer the training course, and approve them in consultation with the World Heritage Centre in Paris. Any institution wishing to be part of the CCBP network should send an official request to the UNESCO Havana Office, using the Participation Format. 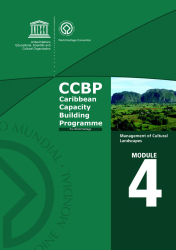 The CCBP is composed of a core and mandatory training module on the Application of the World Heritage Convention and a series of other modules focusing on the various aspects of management (tourism, historic centers, risks, cultural landscapes and natural heritage). Each module lasts 30 hours and encompasses practical exercises, analysis of regional case studies and discussions. The training modules are available in 3 languages (English, French and Spanish). 12. Requests the World Heritage Centre to report on the follow-up of the regional periodic report – and, in particular, on the implementation of the Caribbean and Latin American Action Plans – at its 7th extraordinary session (Paris, December 2004).